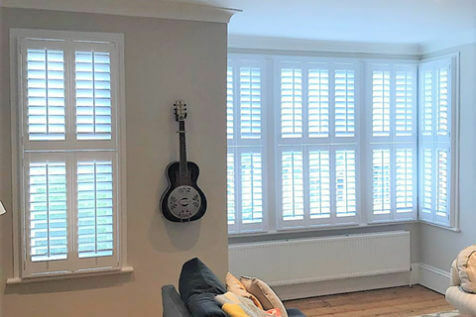 Our team is ready and waiting to make shutters part of your lifestyle no matter where you are located in Kent, London, Surrey, Sussex and even further afield! 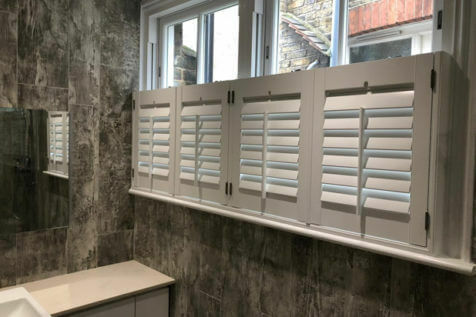 For a quote or answer to your query, contact us or pop in to our showroom. 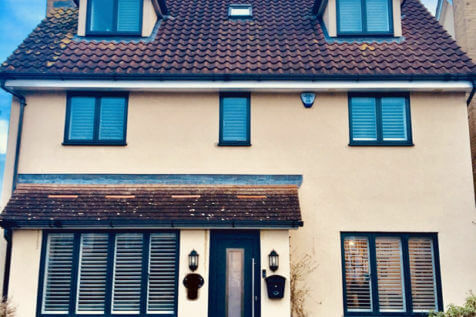 All our shutters our designed around your home and personal preferences, using our expert knowledge and advice to come up with the perfect solution. 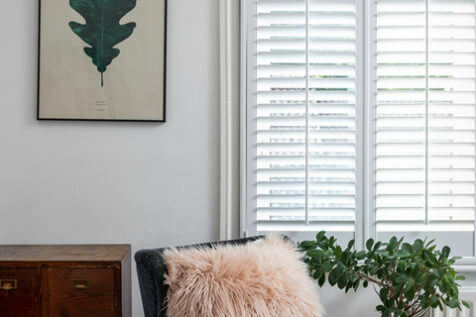 There are a multitude of styles, materials, finishes and colours to use, as well as many special shapes that can be used for even the most awkward of windows. 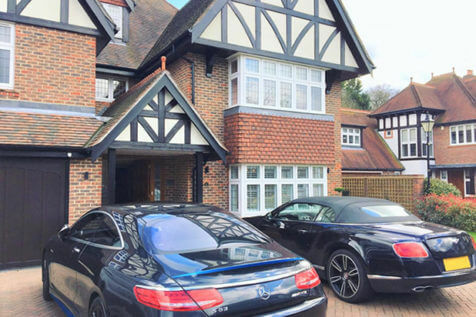 With so much choice, there is a bespoke solution to suit all! 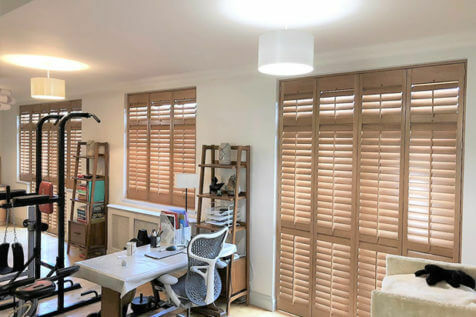 By simply moving the shutter louvres or operating the tilt rods, you can quickly and easily control the level of light in each room. 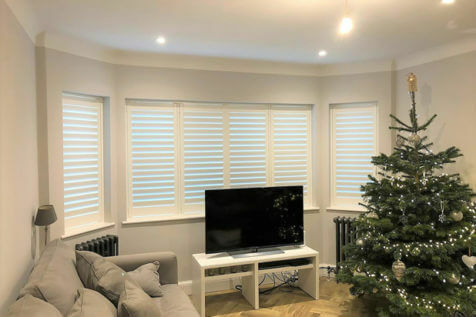 We also have remote control operation available as an upgrade, allowing for multiple shutters and panels to be adjusted via remote. 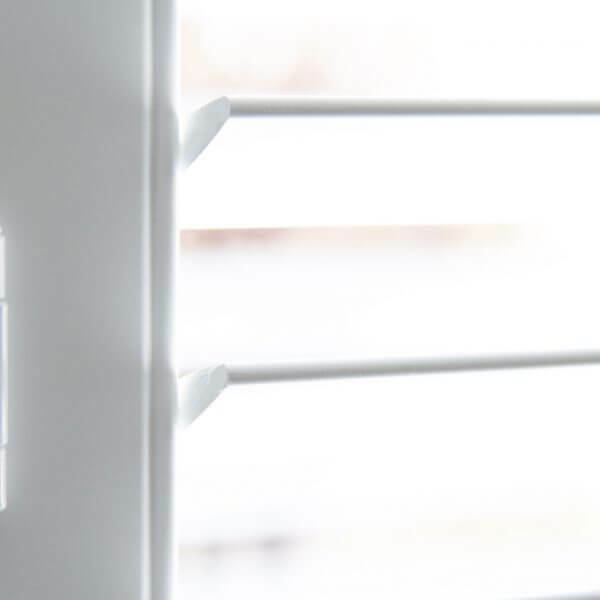 This process can be automated allowing for opening and closing of the shutters at set times throughout the day or night. 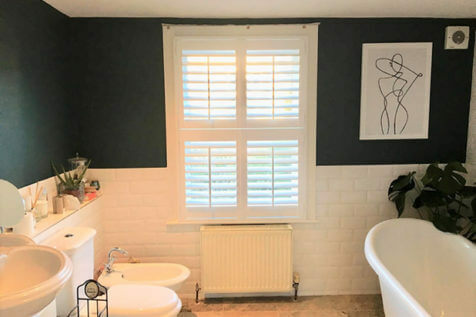 Perfect for hard to each areas. 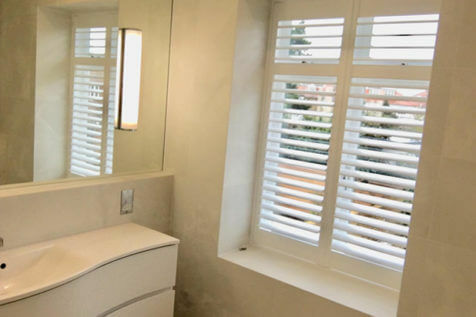 One of the advantages of shutters is the ability to allow either complete or partial privacy. 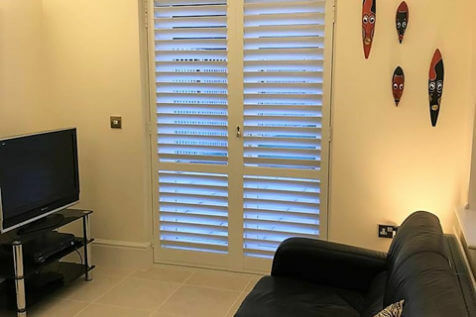 Depending on your privacy needs, we can advise you on the type of shutters that will work best. 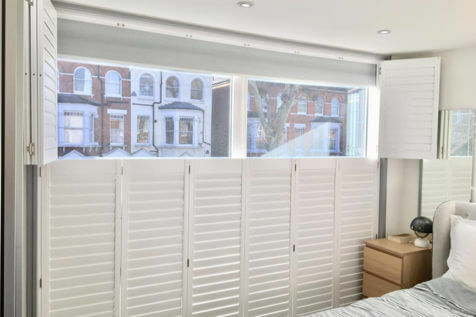 Many of our customers opt for split panels on their shutters, which allows for the top and bottom to be operated separately. 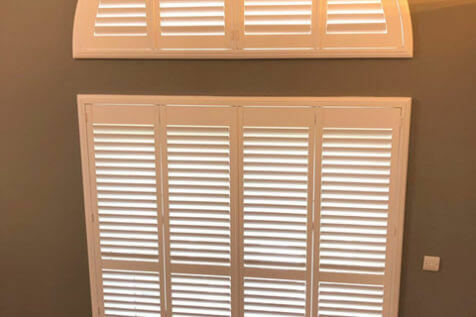 Shutters are one of the best window dressings to help keep heat and warmth within the property, helping avoid heat and energy from escaping. 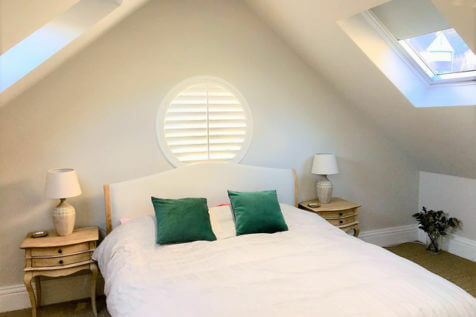 Because our shutters are made to measure, we can really create the perfect fit which acts as a great seal and shield. 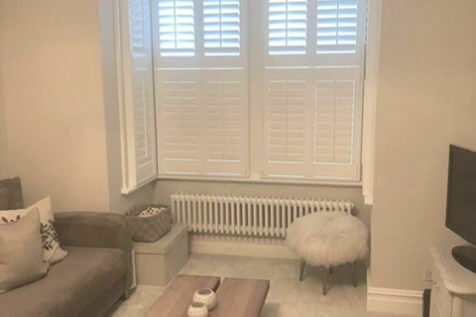 You just can’t achieve anywhere near the same level with curtains and blinds. 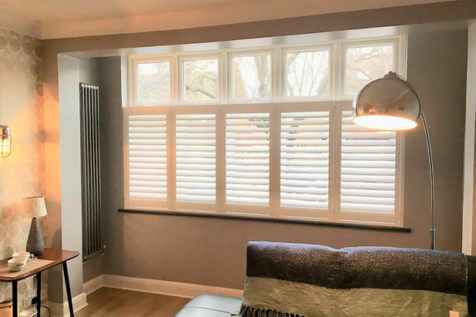 Our shutters come complete with a minimum 3 year guarantee on all panels as standard. 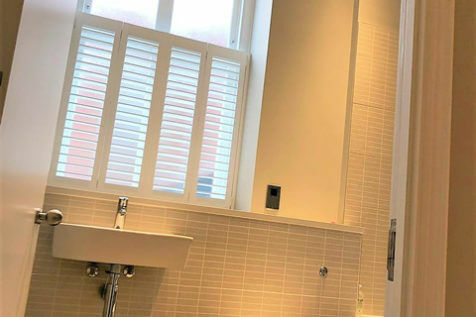 Our shutters are manufactured to the highest standards by one of the world’s top manufacturing facilities. 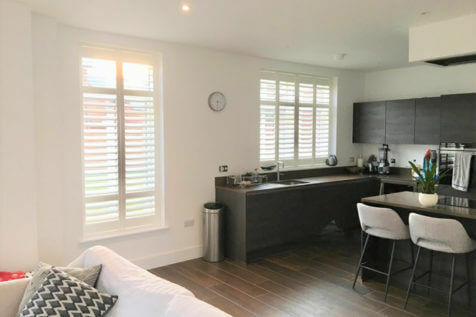 All shutters are engineered to stand the test of time and finished perfectly using top quality timber and styled to your exact specification. 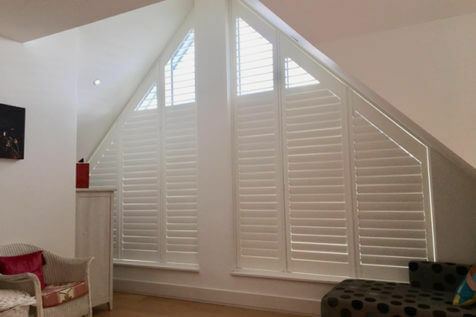 Shutters are well known as a great eco-friendly window solution. 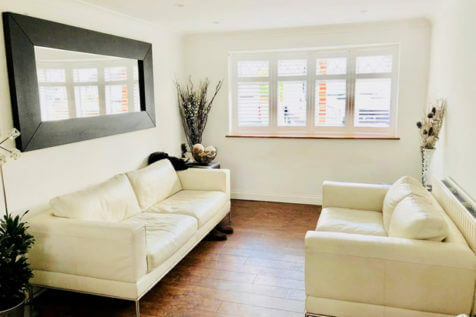 Utilising great insulation properties they can really help keep down heat loss throughout the home, helping to save energy wastage which in turn can reduce energy bills. 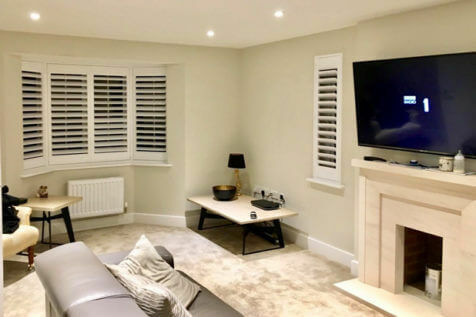 We are able to supply Shutters made from FSC certified materials which are specifically grown in protected forests using a mix of indigenous and exotic wood species.